While Ben Kern’s playing resume is impressive, it was his work as a teacher and coach that define his status. Kern was a co-author of the Future Links golf program; initiated and chaired Canada’s first Teaching and Coaching Symposium; and coordinated the completion of the PGA of Canada’s Teaching Certification Program. 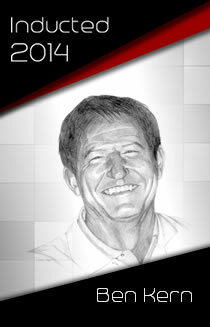 Ben was inducted into the Canadian Golf Hall of Fame in 2010.